Radiance is what makes Beautiful skin. 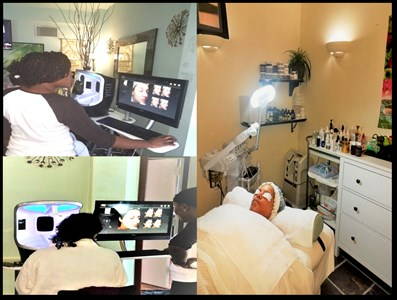 Experience a luxurious feeling from our Advance comprehensive skin analysis and facial treatments with cutting edge technology and Ecocert Oraginic skincare products delivering skincare solutions of Highest efficiency. Addresses the specific needs of men’s skin with a deep purifying and revitalizing, salvage concerns, such as razor bumps and skin challenged by daily shaving and environmental stress, oil build and clogged pores. Thorough deep cleansing and exfoliation, nourish and condition the skin’s health and integrity. 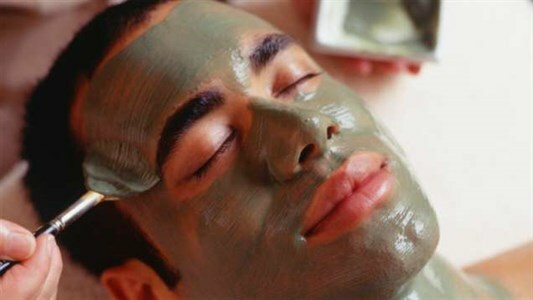 Customized mask and a stimulating face, arm and hand massage included, resulting in a well groomed, radiant look. This treatment is for often neglected areas of the back and shoulders. 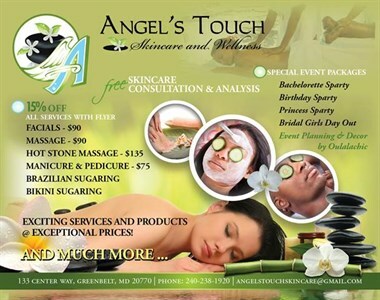 Experience a deep cleansing exfoliation, specialty masque, light massage and conditioning of the skin. Choose from hydrating, purifying or lightening and brightening treatments. Teen Deep cleansing facial prevents breakouts and promotes healthy skin care habits that last a life time. Includes a lesson on home care regime, as well as proper use and application of make-up where applicable. Enjoy and experience the luxurious feeling of a certified organic experience that saturates the skin with intense anti-oxidants, for a truly authentic approach to anti-aging. Includes lifting acupressure and facial massage techniques which revive and restore the skin to its optimal health and radiance. It begins with cleansing, followed by a hot enzymic peel that exfoliates to get rid of dead skin cells. 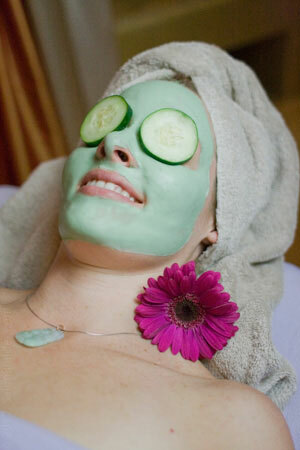 Thereafter is a therapeutic massage of the face and décolleté, a customized facial masque. This facial finishes with a nourishing moisturizer, lip balm and eye cream application. You will leave with your skin refreshed and revitalized. Results are immediate, WELCOME TO THE NEW YOU! supple, healthy and luminescent skin! An extensive decongestive deep pore cleansing treatment, without the risk of irritation. With choiced deep-down clean cleanser, double exfoliation and softening steam, to discrustate and leave the skin prepared for extractions. Once congestion is removed, anti-inflammatory and antibacterial products are applied to the skin in preparation for a calming clay masque. This is the perfect treatment to makeover your skin and jump start a new skincare routine. 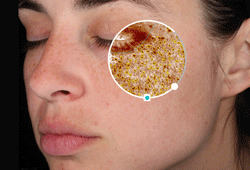 treatment, gentle skin rejuvenation is now easier than ever!! This Advance latest & innovative technology makes it possible to achieve a younger face quickly and without surgery. It improves skin tone, skin texture, the appearance of dark pigmented spots, redness and helps to alleviate visible acne lesions. L.E.D. (light-emitting diode) therapy . L.E.D. therapy is a very gentle, painless, It uses narrow spectrum light to boost collagen, which creates plumper, younger-looking skin and reverses the effects of sun damage. It also kills the bacteria that causes acne leaving the skin radiant with an amazing youthful luster. …SHINE CONTROL…instant improvement will be visible. Hyperbaric pressure utilizes nutrients and vitamins to stream them into the skin and hydrate and quench thirsty complexions. 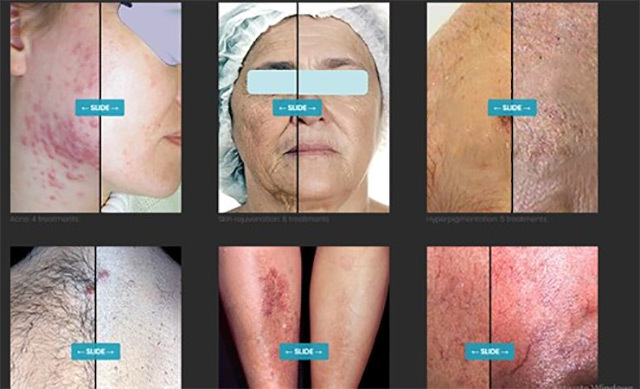 This incredible treatment provides healing to all stressed skin. Hyperbaric Oxygen Facials will smooth out your skin, increase cell turnover, restore moisture and assist in removing visible signs of aging and a remarkable radiance! This is a great addition to any facial if you have puffy eyes, lines around the eye area or dark circles. 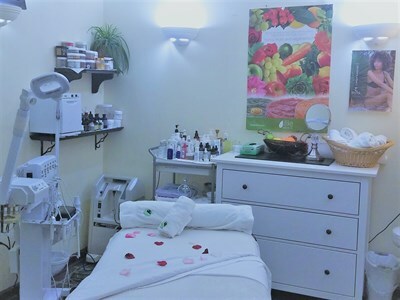 This treatment begins with an added eye exfoliant in conjunction with special eye masque, while acupressure is used to release tension and relieve tired, swollen eyes. To finish the treatment, a firming and hydrating masque is used around the area. Also used to treat crow's feet. Treat dull and chapped lips from harsh climatic conditions with Citrus lip enzyme exfoliator and lip comfort plumping masque. It will condition, heal and plump lips. Treatment is finished with Citrus lip balm, for well hydrated lips with a satin finish.